The premiere showing of a new documentary Realistically Ever After: A Turn it Gold Movement, focusing on childhood cancer and its aftermath will be shown to the public on Sunday, Oct. 22 at the Athena on Court St. in Athens, Ohio at 3 p.m.
After the screening, the founders of Turn it Gold will be present and speak about how funds raised have been leveraged to better understand and enhance the lives of childhood cancer survivors. 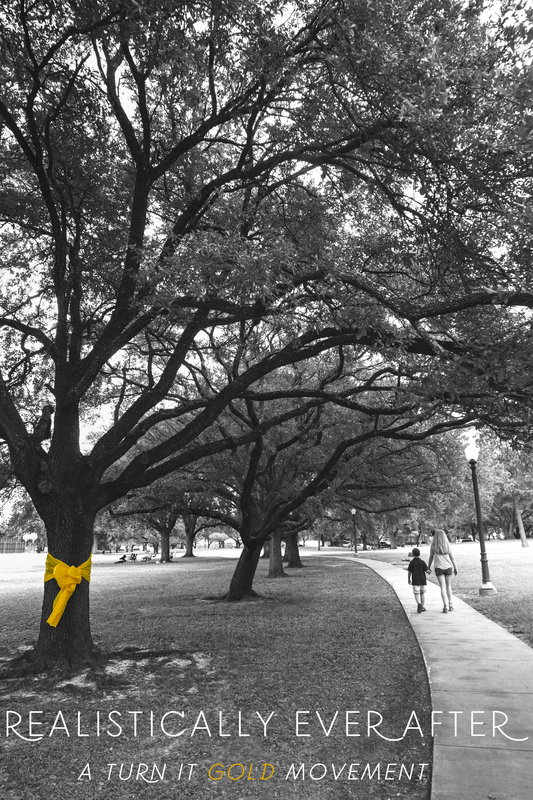 The documentary focuses on the efforts of the Dina family of Texas as they partner with schools, athletic teams, and community members to communicate the hard facts of childhood cancer and increase funding for research. After their young son Charlie Dina traded his childhood for chemotherapy, a cocktail of drugs that saved his life, he and his family still live with the late effects of cancer and treatment. As a result, they are committed to raising awareness and funds for research and they have approached their mission in a unique way – through youth and sports. 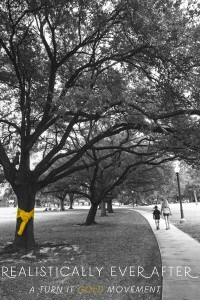 The documentary, three years in the making, tells their story and the story of the fight to raise awareness of childhood cancer and to raise funds for childhood cancer research. “The film illustrates how brave individuals inspire others and bold action creates change,” says Dr. Lynn Harter, one of the film’s producer/director and the main driving-force behind the documentary. The film, produced and directed by Harter, Stephanie Pangborn and Evan Shaw, is a creation of the Barbara Geralds Institute for Storytelling and Public Impact in the Scripps College of Communication at Ohio University with support from WOUB Public Media. This production of this documentary also has involved students. Over 200 undergraduate and graduate students at Ohio University have been involved in the production. Some 550 learning communities at the university also have been involved including over 8,000 students participating in the OU-Campus initiative. In addition, over 45 local businesses have participated in the OU-Community initiative along with Athens High School and Ohio University football. This Saturday’s game against Kent State will be part of the Turn it Gold effort of the Dina family. Kick-off is at 2:00 pm. Texas A & M women’s soccer and Clemson University football, men’s basketball and women’s basketball also are featured in the film. No tickets are needed to attend Sunday’s premiere. The showing is free and open to the public.